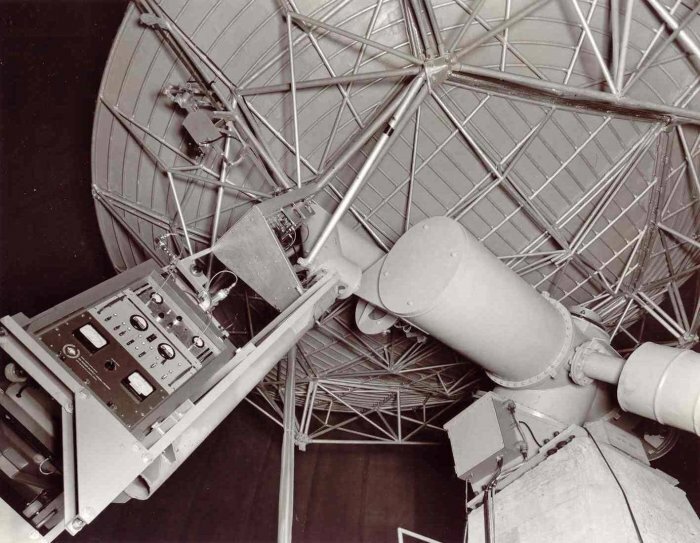 The Needham radio telescope in operating mode, 1957. A prototype of the Polaris radiometer was used as an elevation axis counterweight. Credit: Photo courtesy of Doc Ewen.